NEWS FLASH !! 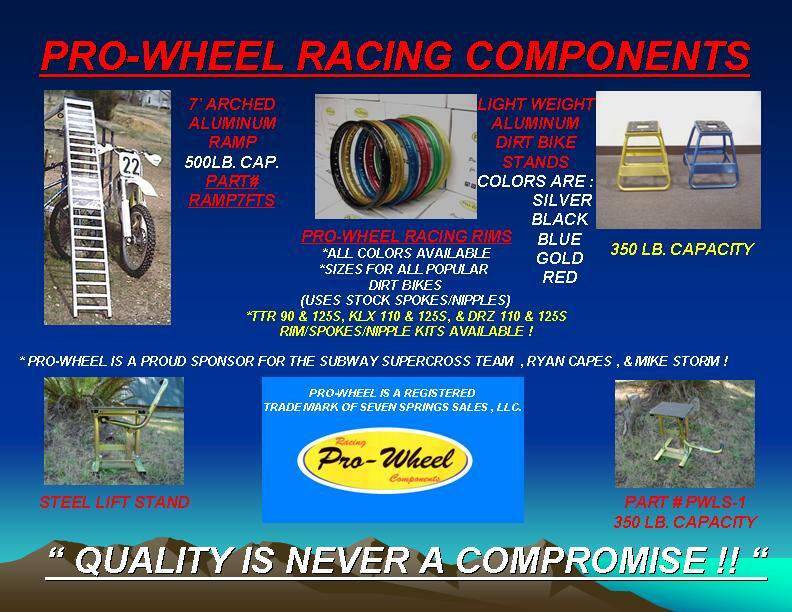 RYAN CAPES JUST SET THE NEW WORLD RECORD FOR THE LONGEST DIRT RAMP TO RAMP JUMP OF 260' RIDING ON PRO-WHEEL RIMS ! !